Returning soon: Type 102 for Illustrators. Sorry about that, guys, I was in a rush and neglected to have folks at Orbit edit the post before I published it, and we want to make sure I don't share too much that our competitors could copy. Trade secrets and all, you know. It'll be edited a bit and back up soon. Continuing the series on Typography for Illustrators this week with something I get a LOT of questions on: Logos for Artists. There's a few levels here, and before we dive in, let me remind you of a piece of advice that I gave in Type 101 — Less is More. If you're not sure of what to do for your branding, then stick to Level 1: Pick A Nice Font And Keep It Simple. Because you do not want an Art Director (many of whom are designers) to wince at your branding before they even see your art. Logos are one of the hardest things graphic designers can work on - you have to do so much with so little, be so clever, and so elegant, and give the entire character of a company or person in this teeny tiny bit of graphic design. And remember one of the main differences between Illustration and Graphic Design. Illustration is more like gathering everyone around and telling a story - they know they're being told a story and it has a certain timeline. You can see what's happening as it unfolds. Graphic Design is more like a subliminal message—typography especially—the viewer receives an unconscious emotion and story without them realizing it. For every example I linked to the artist's website, so you can see how the branding works in relation to the site as a whole. Notice how clean these sites tend to be. Let your art be the star, not the wrapper. The easiest thing you can do is pick a nice clean font, set your name in it, space it out a bit, and be done with it. Here's some good examples. Try your name in all caps, small caps (when the letters are all caps, but the first letter in each word is slightly larger than the rest of the word) or upper and lowercase. Extra credit to Rovina here, who not only used one of my favorite typefaces, Mrs. Eaves, but used a ligature! Swoon. Oh, by the way, did you know most good fonts have extra fancy characters? How do you find them? In any adobe program look for a menu under type called "Glyphs" — Yes, even in Photoshop. The artist signature is a time-honored tradition. And there's no shorter shorthand to imply artist than turning your signature into your logo. But still, keep it simple. It can just be an initial, or it can be the whole signature. Either way, keep it simple, and keep it classy. Don't have a signature that looks like graffiti — unless your work is graffiti-inspired. This is only for those who have some design experience, because these can go very very wrong. But when a type treatment is elevated into true logo territory it can be put to great use. Dan's logo is really satisfying as a design because it works on multiple levels (shapes and letters) and stacks so nicely. Cynthia's has a touch of dark fantasy to it, like her work. 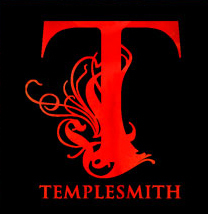 And Ben Templesmith's is perfect for someone whose work is at least 75% tentacles. This can be a great solution for someone who has a style that can be easily separated into elements, or likes making a bit of spot art. I really like how Emily's logo is a play on her last name. 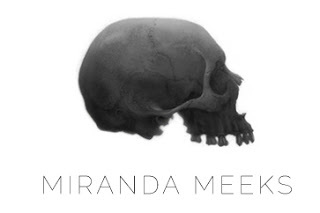 And miranda's skull works as a rendered piece of art, but could also be turned into a flat graphic silhouette quite easily for flat usages. Remember here, you also still need a type treatment attached to the graphic. Here you really want to keep it simple and not have the type fight with the graphic element. Make sure that your type style and image are also giving the same emotion. You don't want a typeface that says fun and lighthearted when your art is dark and gothic. So now you're armed with some good examples of artist branding. Stop making my eyes bleed with overcomplicated graphics that are either super dated or actively fight against your art. Remember: when in doubt, LESS IS MORE.